Pirate's Booty Snacks for the Whole Family! Are you looking for a tasty but natural snack that doesn't contain sugar or chemicals to include in your child's lunch? Then you have got to get Pirate's Booty! Plus, Pirate's Booty's is now offering their new 12 Pack of ½ oz bags that are perfect for packing kids’ lunches this school season. 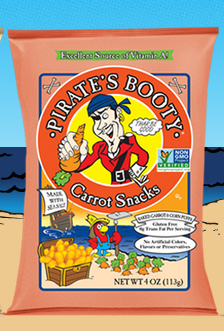 Pirate's Booty only uses ingredients that six-year-olds can pronounce. The aged white cheddar puffs contain real cheese. You don’t have to worry about sugar or chemicals as Pirate's Booty has 0 sugars. This baked puffed rice and corn snack provides fuel at lunchtime that will give kids the energy they need to get through their day. Their classic Aged White Cheddar is my absolute FAVORITE! 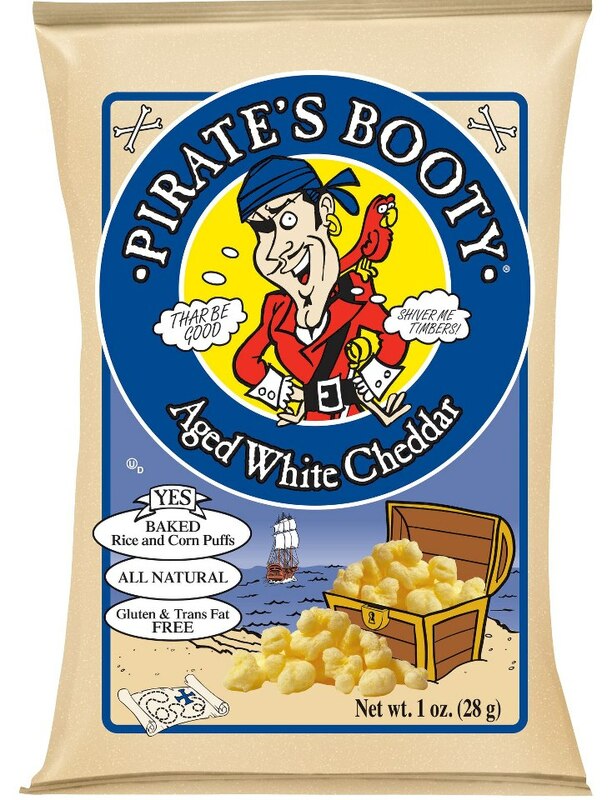 Aged White Cheddar is made from puffed rice and corn, blended with real aged white cheddar cheese and baked perfectly to pirate standards. They also offer the NEW Carrot Snacks! These are my children's favorite and I love that they are GMO-free! Carrot snacks are a fun and deliciously crunchy snack made with real carrots. Plus, they're are an excellent source of Vitamin A! Open a bag and your lil' crewmates will mutiny for more! My children LOVE Pirate's Booty and I may just be addicted too! I love the 1/2 oz bags for sticking in my son's lunch box and it is the perfect snack size for me too! You can purchase Pirate's Booty on Amazon.com and at your local retail store.